A perfect meal. What do you remember from that experience? The food? Who you were with? Gastrophysics conglomerates different disciplines such as experimental psychology, cognitive neuroscience, sensory science, neurogastronomy, marketing, design, and behavioral economics. Don’t get discouraged about all this plethora of science; the book is easy to understand. In this post, you’ll get to know Charles Spence’s research and experience in Gastrophysics gathered while working with a multidisciplinary team such as marketers, musicians, top chefs, mixologists, and baristas, to enhance the experience of eating, focused on the atmosphere at a restaurant or your next dinner party, and acknowledge several myths around cooking and food. Many modernist chefs are first to try Gastrophysicists discoveries to create multisensory dishes. Moreover, modernist restaurants use this knowledge to keep relevancy in the culinary scene. At some point, even if you don’t visit these Michelin-starred restaurants, you’ll receive the influence of gastrophysics, because the discoveries at the gastrophysics lab will pass to the modernist restaurants and later to the mainstream through the food and beverage companies. Spence tells the story of a chef that wanted to know what his diners remembered of the fabulous meals he served. The chef sent a questionnaire to his guests a couple of weeks after they have eaten at his restaurant. Surprise! The diners answered they remembered the experience, the meal not so much, not the specific ingredients and flavor combinations the chef worked hard to create. The diners remembered the surprising and/or unusual aspect of the service such as when the waitress sprayed some aroma over their dish. Furthermore, the experience was memorable, no doubt the guests enjoyed the food, but the factors that may them come back are the combination of delicious food and great service. Food is important for a restaurant or a dinner party, no question about it. For this post, the focus is on how our mind and senses help to enhance food flavor. The multisensory experience is happening whether we are aware of it or not. Furthermore, the researchers have found more connections between the senses than they ever realized. Many Chefs, restaurateurs, and the food and drink industry know the atmosphere affects everything. They have an interest in influencing people’s behavior for different reasons, thanks to Gastrophysics. Chefs focus on food, but also they work to influence the environment to make a memorable experience for the guests enough for them to comment and recommend their restaurants. Modernist restaurants use plenty of resources to keep on top of people’s memory with jaw-dropping effects, and they go to an extent that will depend on your budget to recreate the same experience at your dinner party. According to Charles Spence, the food and beverage industry funds widely the Crossmodal Research Laboratory. They work closely to quantify how much the atmosphere influences people’s rating of taste, flavor, and preference. 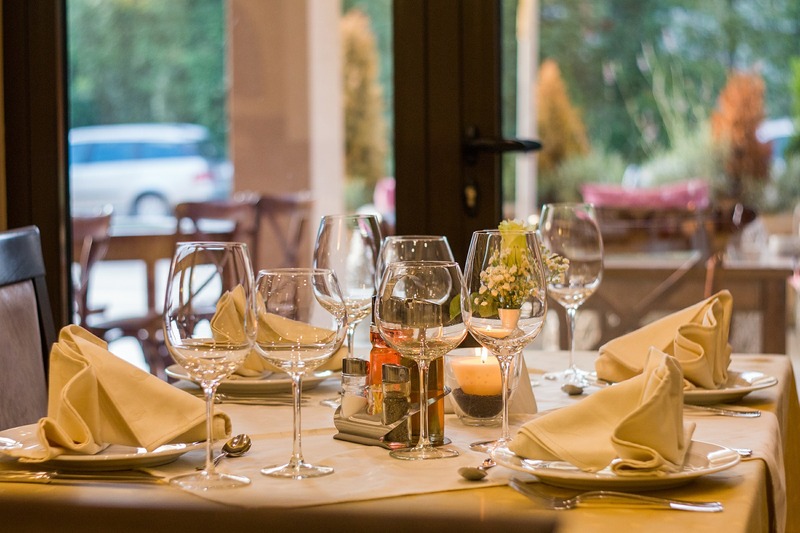 People involved with food and beverage businesses focus on different factors to improve the experience of their clients and increase their sales. Different aspects applied such as the art of food plating, the music at a restaurant or a supermarket, the packaging of food, the service, to keep client’s loyalty and increase the business revenue, but the advances on Gastrophysics research take all that experimentation to a whole new level. The basic tastes include sweet, sour, salty, bitter, and most researchers add umami to the list, while other researchers question whether there are any basic tastes at all. Meanwhile, fruity, herbal, or citrusy, etc., are flavors, Spencer explains. What’s the difference between taste and flavor? According to Spencer to experience taste hold your nose closed when you eat, and what remains is taste. On the other hand, the flavor is more of a multisensory experience. Myth: The tongue map is a myth. The taste tongue map is the result of a mistranslation of a German Ph.D. thesis published in an American psychology textbook written by Edwin Boring in 1942. Curious fact: Artificial saliva exists. Who knew! Gastrophysics research influences our lives more than we think, for example, on airplanes sweetness is mostly suppressed by the loud noise and sometimes saltiness, meanwhile, enhancing the taste of umami, these research results affect what we are offered to eat by airlines. Spencer refers that more than half of the brain involves processing what be see, and only approx 1% of the cortex works on taste perception. Even though by tradition the first focus on food is taste, other senses have more influence on our eating experience than our taste buds. We smell in two different ways: orthonasal—when the aromas enter the nostrils before we eat the food—for example, and retronasal—when the aromas go from the mouth into the nose while we are eating or drinking. The retronasal way of smelling creates a misconception that we taste what we are smelling. Spencer clarifies this process’s name is ‘oral referral’, the mislocalization of the aroma to the mouth. Gastrophysics research of aroma to enhance the flavor of food has induced changes in the design of cans and lids, for instance, Crown packaging and Viora lids so we can get the aroma of the products we consume suppressed using current lids and cans. Additionally, our taste buds can’t taste sweetness at very cold temperatures, the food and beverage industry aware of this issue adds sweetness through aroma such as vanilla to beverages and foods that we usually eat cold. Modernist restaurants use aroma to change the mood of the diners and create special scenery to enhance the dish they are serving. Spence shares that in 2014 and 2015 food was the second most searched category on the Internet, a service where finding beautiful food pictures and recipes is so easy. However, it’s not innocuous, looking at these well-presented dishes pictures increase the cerebral blood flow in the brain if you are hungry, induce salivation, etc., important to know if you are dieting, for example. One way to influence people’s perception is through color, for example, to use pinkish red on food so it can taste sweeter without added sugar, as people associate red and round shapes with sweetness. Another example of the knowledge used to influence people’s mind, if you serve wine in a black glass, with red lighting it’ll taste sweeter and fruitier, according to Spence. Nowadays, plating is an art; presentation of the dish is key, and chefs are serious about choosing color and shape of the plate and the arrangement of the food itself. Modernist chefs like to experiment and some guests look forward to the experience, for instance, food served on a tablet. Myth: Many chefs learn to serve an odd number of elements on a plate. Spence research results revealed people don’t care about it, people focus on getting more food. Spence considers sound the forgotten flavor sense considering it’s the last sense people think of associated with improving the taste of food, but music can affect people’s behavior to eat less or to eat more, or induce to eat faster. It’s possible to manipulate the sounds while eating to enhance the sensation of crispness or freshness, scientists call it ‘sonic seasoning.’ Even, the noisy packaging of food it’s part of the gastrophysics research. At home, you can add sesame seeds to your salads, and croutons in your soup. Be aware some people will be unhappy, those suffering from misophonia—people who are sensitive to certain sounds— in this case, the chewing of food. The focus is on a tactile experience. Nowadays, high-end restaurants serve the first three courses at least to eat with the fingers. On the other hand, when using cutlery choose a heavyset, according to Spence research those using heavier cutlery considered their food plated more artistically. How the mind and senses help to enhance food flavor is complex and fascinating. Even if we are unaware of gastrophysics, chefs, restaurateurs, and the food and beverage industry are paying attention, and using all the research results Gastrophysicists have discovered, and so can you now.